The award ceremony took place 20th of November in Madrid and was headed by the RAI’s president, Elías Fereres. RAI’s Awards Commission has valued and highlighted Carrera’s contributions to Computer Engineering in the area of infrastructure management and optimization for data-centric workloads, and its extensive collaboration with companies of worldwide reference in the field of Information Technology. 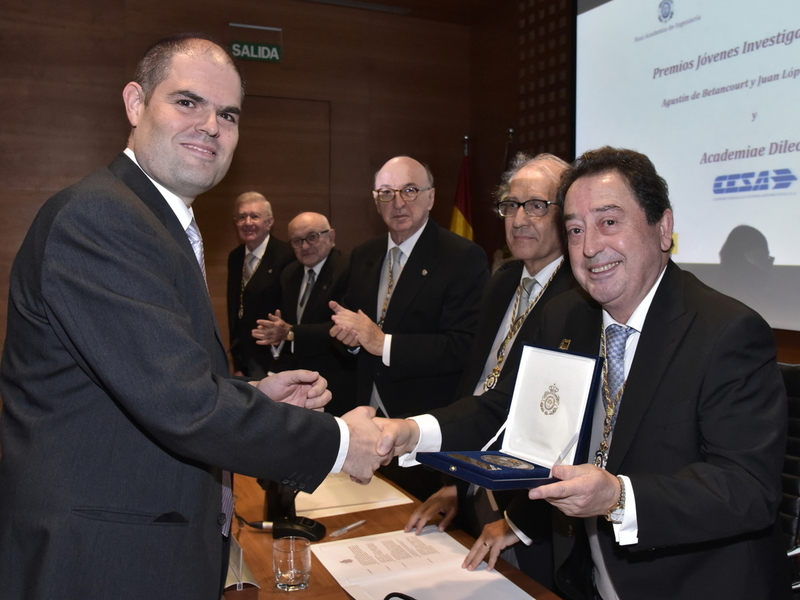 The Agustín de Betancourt prize recognises researchers and professionals that have carried out original and relevant contributions in any of the engineering fields, taking into account especially those aspects related to technology transfer. David Carrera is Associate Professor at the Computer Architecture Department at Universitat Politècnica de Catalunya, and he is also the head of the "Data-Centric Computing" research group (bsc.es/datacentric) at the Barcelona Supercomputing Center (BSC-CNS). David Carrera was awarded an ERC Starting Grant in 2014 for the HiEST project. He was also recognized with an ICREA Academy award in 2015. In 2017, the European Research Council (ERC) again recognized its research activity with an ERC the Proof of Concept Grant for the Hi-OMICS project. In 2018, a project led by Dr. Carrera was selected by the MIT-Spain "la Caixa" Foundation Seed Fund program that promotes border research in collaboration between Spanish institutions and the Massachusetts Institute of Technology (MIT). In 2018 he founded NearbyComputing SL, a technology start-up focused on the orchestration of 5G and Internet of Things (IoT) services. Dr. Carrera and his team have deep experience on task placement and performance modelling for heterogeneous sets of workloads. They also have large experience on data placement strategies for data analytics runtimes. The results of their research activities have attracted the interest of key industrial players over the last years.